Ah, Hue. The Old Imperial majestic city that stood as capital of Vietnam in ages past. The perfume river glides by gracefully and the Vietnamese flag flies proudly at the entrance of the Old Imperial Palace. Perfect backdrop to display my toned biceps, right? Jean Van Damme, eat your heart out. Hue is only a short bus journey away from Hoi An, and makes it the perfect stop on your arduous bus journey to Hanoi, the current capital of Vietnam. 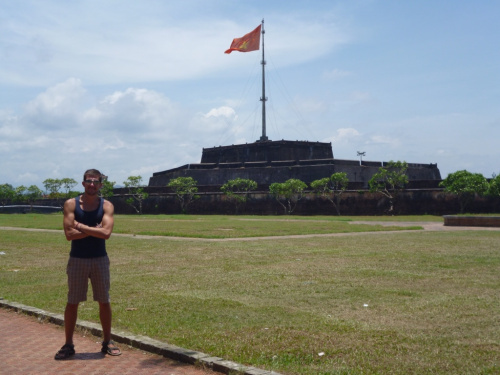 Why not read about my adventures in Hue when I stopped for a day and a night?